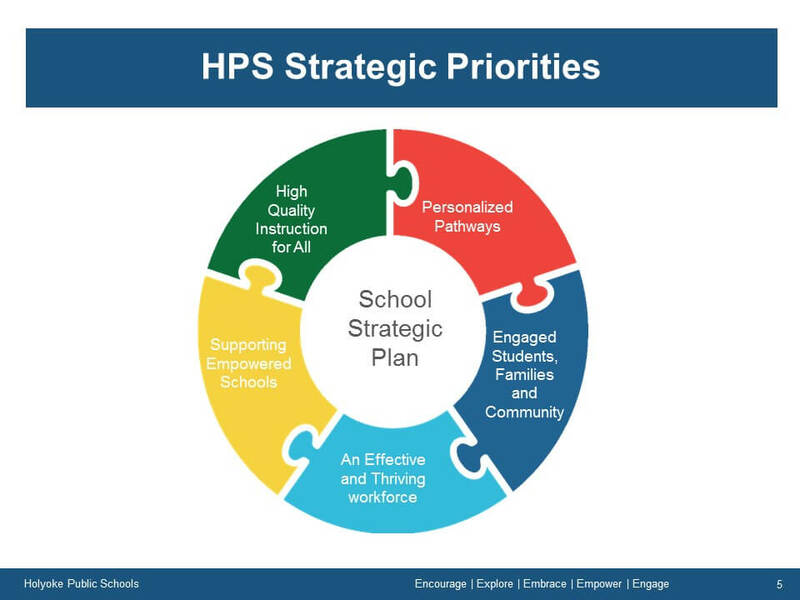 Through a collaborative process involving the schools and community and under the leadership of Superintendent Dr. Stephen Zrike Jr., the district developed a strategic plan with five priorities, all centered on ensuring schools have their own highly effective strategic plans. “Personalized Pathways” is the central organizing focus of our high school redesign plan. Pathways are student-informed learning trajectories resulting in a competitive advantage in post-secondary success. Our primary initiative is to create a set of theme-based academies that will provide numerous pathways for students to ignite student motivation, interest, engagement, and learning. A set of supporting initiatives that are essential to the success of the academies are organized around the other four strategic priorities.